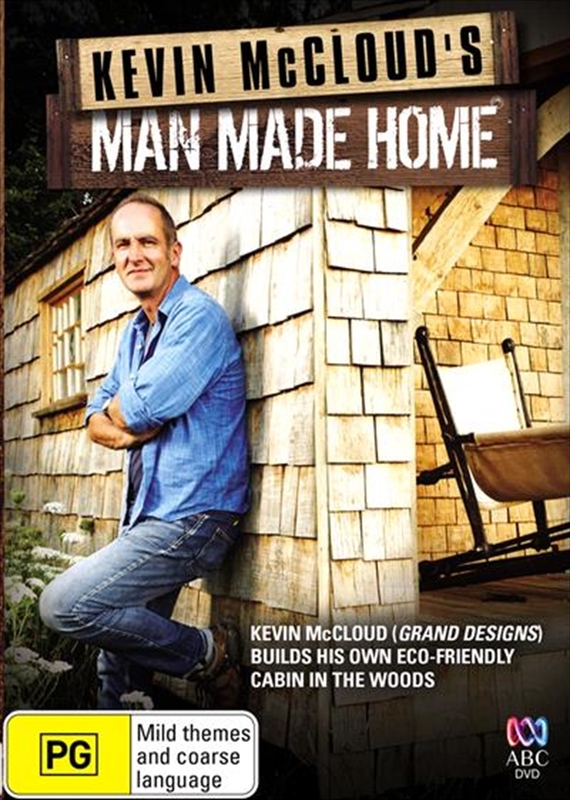 The Kevin McCloud Man Made Home DVD - On Sale Now With Fast Shipping! As presenter of the multi award-winning and much loved series Grand Designs, Kevin McCloud has seen many unique and inspiring building projects. He has always dreamed of building his own project, however: a sustainable eco-friendly cabin in the woods and now he's going to try to make it happen. This compelling four part series follows Kevin as, in a beautiful patch of woodland near his home in rural Somerset, he repurposes, recycles, and uses the best of what he can find to build his own dream home-away-from-home. Joined by a team of friends and experts, Kevin works hard to create a retreat where he can truly experience an off-the-grid lifestyle.